2 of the 4 brothers who allegedly killed their grandmother for Yahoo Plus Money ritual in Edo state have been arrested. 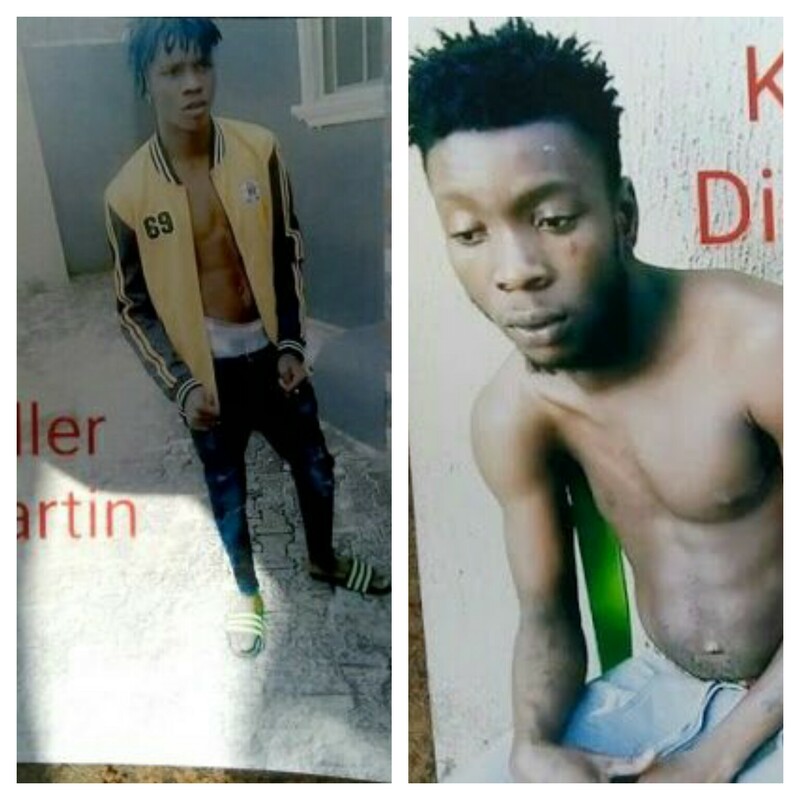 Two of the 4 suspects identified as Oluka, Salaya and Martins Oluka and their accomplice Enayi Austin who are popular internet fraudsters in Edo state were arrested on the 12th of December 2017 after killing their grandmother, a lovely woman identified as Madam Ovbiedo Grace. According to residents of Ohovbe quarters in Ikpoba Edo state, the suspects were looking for overnight riches when they consulted a witch doctor who advised them to tie a live tortoise to their back and kill a close relation after which they would become stinkingly rich. 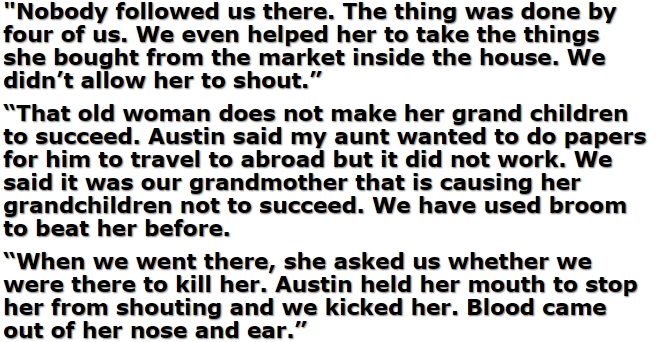 Without thinking twice, the suspects rushed to the home of their grandmother whose children are based abroad where they used a wrapper to tie her mouth and smashed her head on the wall. They were caught when residents raised an alarm as they were trying to dispose off her body. Two of the suspects were arrested on the scene while the rest fled. The controversial tortoise they used in carrying out the operation is still in police custody Their native doctor who was earlier arrested had been granted bail.